It has been over a year since the first Relics were found. The beginnings were tough but as the time went by we built a new Relic Forge, improved and fixed some Relics and even created new ones. However, we still see space for more improvements. Since we have been adding new Relics into the game, we understand that it’s very hard to keep up with the pace, especially when you are not aware of where to find information about what relics do we have in the game. Therefore, we have compiled a list of all available Relics HERE. 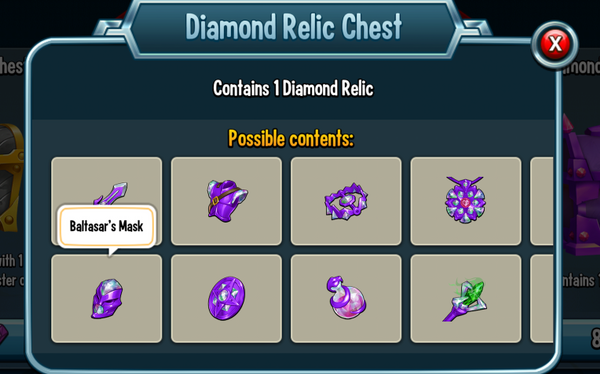 The way Relics were organized was not very straightforward or player friendly, for this reason, we will be reorganizing all the Relic chests in the game so that it will be much more clear what content is held in the different types of chest. With the new organisation, even if you open the lowest rarity chest (Bronze) you will have some chance of getting higher rarity Relics (Silver, Gold and Diamond)! All chests have a minimum rarity guaranteed as you can see in this image below. Along with these changes, there will be an improvement in the tooltip, if you tap any of the new Chest, a new window will show you ALL the possible Relics that this chest may contain. Since when the new system will be live? From Tuesday 9th of April, the change will be live. If you have both old and new type of chest in the storage it’s important to understand that the Chests obtained BEFORE the change will follow the old behaviour even if you open them AFTER the change. We hope you appreciate these changes and as always we would like to see your feedback about this topic in all our channels. We want to share a little nugget of information with you regarding the Team Battlegrounds. After many events and dozens of hours combing through the feedback that you sent us via multiple sources, we decided to start implementing some much-requested changes and improvements to this mode. So, what is happening to Team Battlegrounds? Reduce the number of slots per territory. 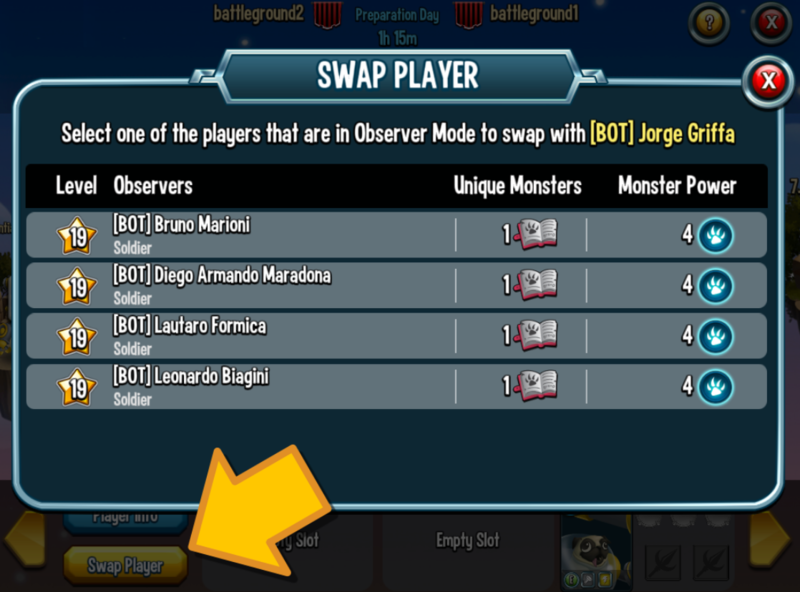 The number of Monsters that we have been requesting from players was a massive increase compared to the number of Monsters that we require in other modes (PvP and Team Wars, for example). We’ve heard your feedback and we will be reducing the amount of Monsters you need to manage, so that you can focus on the quality of each of your units rather than just on the volume of your overall army. Introduce defense and attack limits. This will be familiar to anyone who plays Team Wars. Each player in the team will be able to contribute with a maximum amount of defense slots and a maximum amount of attacks. In the event that two teams of different sizes match, we will redistribute the number of defenses and attacks among the team with the lowest amount of players (e.g. if Team A has 30 players and Team B has 27 players, each player in Team A will have, for example, 5 Defenses/Attacks, while on Team B some will have 5 and others 6), so that the total of defenses/attacks in both teams is the same. We are considering locking the Team Battlegrounds restrictions for a longer period of time. This means that, throughout a Team Wars Season (i.e. two months), restrictions in TB will not change. 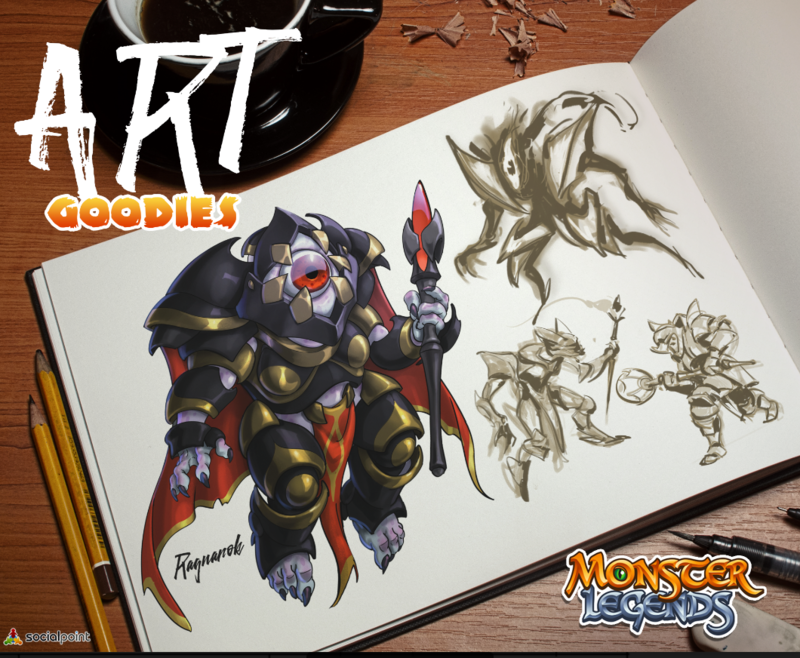 We are considering this in order to reduce the amount of Monsters that players must optimize and to give you more opportunities to grow a set of Monsters throughout each season. We are also considering changing the length and frequency of the event. 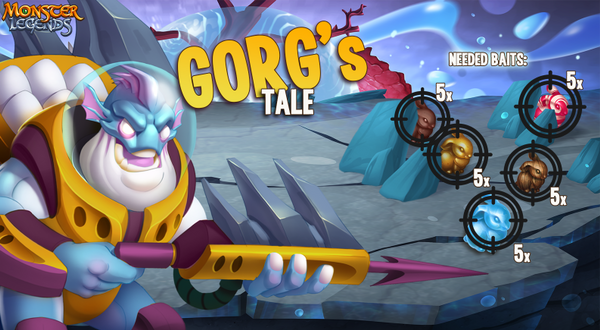 Due to the lower amount of Monsters required, we believe that we can reduce the length of the Defense Phase from 48h to 24h. We also believe that the event can run once every two weeks rather than once per month. Finally, due to the introduction of defense/attack limits, the probability of having ties in the individual leaderboards was increased. Therefore, we will be removing Individual Rewards from Team Battlegrounds. The individual leaderboard will still be visible, as players will still need to achieve a minimum individual participation/score to qualify for Team Rewards, but Heroic Orbs will be moved away from Individual Rewards and redistributed as Team Rewards. We will be testing this event with a small set of teams in the coming weeks, in order to make sure that we deliver an improved experience. Based on the feedback we collect, we will decide if we can open it to everyone or if we should iterate further. We can’t wait to hear your thoughts on these changes! Following changes will be live from March 18th. Trophies Win-Lose ratio of the Champion Leagues and the Legendary IV League have been reworked to improve and foster competition. Following fixes and changes will be live on March 4th. With the current behaviour when an enemy uses a Remove Positive Effect on a monster with a Protect Positive Effects active, the targeted monster won't be affected in any way. 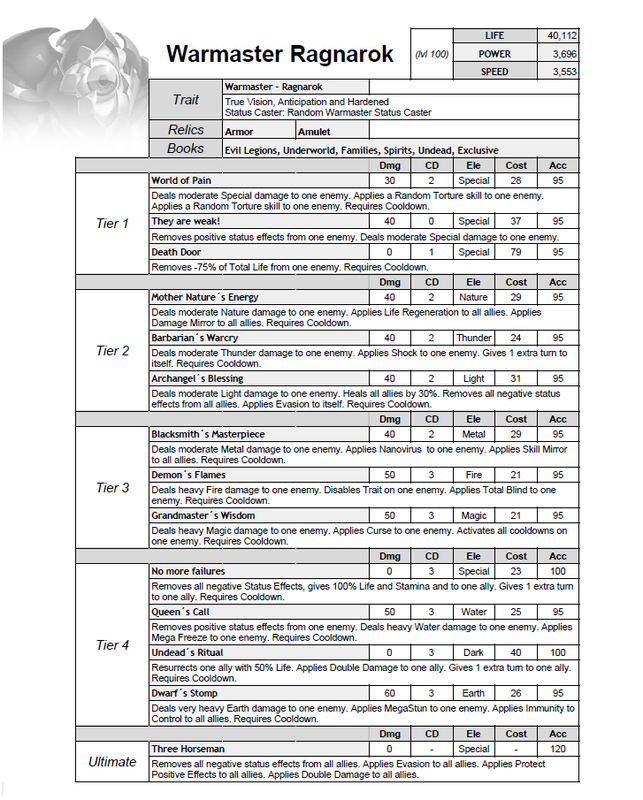 With the change, the targeted monster would lose ONLY the Protect Positive Effects status but all the other positive effects, he might have, would remain untouched. We think this change will avoid certain combos that can make the combat experience frustrating. Minor Blind - Now Immunity to Blind will block "Minor Blind"
Evasion - Now it will evade "Minor Blind" and "Positive Effects Blocked"
Positive Effects Blocked - It won't stack anymore. With the start of Team Wars Season 1 on February 11th, we will finally introduce per-League restrictions into Team Wars! We’ve listened to your feedback regarding the recent changes to the Observer Mode and the ability for Leads to swap in/out players during the Preparation Phase. We hope these changes will make for a better experience in Team Wars. Meet the Special Warmaster, Ragnarok! We received an incredible amount of feedback about the last Race, the Winter Citadel Team Race, which included Shademoon as the top reward. Since this Race was special, duration wise, we wanted to make sure it was fun, but challenging, with the great reward of a Rank 5 Monster at the end with. However, it didn't turn out as expected and the Race was more challenging than intended. We assure you that we carefully read and gathered all your comments and opinions and we understand the frustration that this last Race caused. For this reason, we would like to address some of the main pain points that you brought to our attention. This might take some time to be implemented in-game. In the meantime we commit to show reliable and detailed information about Race’s Monsters through our social channels (Update Section, Forum, Discord, Facebook). We’ve learnt from previous race’s experience and we will do our best to release a smoother and less frustrating quest/node progression for all our future Races! We thank you for your patience and understanding and hope to see your feedback on all our social channels.